BMW 3-Series (E90 E92) Forum > E90 / E92 / E93 3-series Technical Forums > AUDIO/VIDEO + BLUETOOTH + Electronics/Alarm/Software > Help with upgrading my logic 7! TECHNIC LOOK! Is your harness ment for what im trying to do? I dont know how to word this. Is your harness able to do what i want to do, but later on be able to do more if needed. Does that make sense? It is so long as you know for a fact that you have the professional h/u and top hi fi. If you have any doubts about that, check the audio sticky on this forum. You are missing the point. He doesnt need to change his Logic 7 amp . . he will still use that but add his amp for the underseat midbass and an add on sub. No reason to get rid of the Logic 7 amp if it works. I do have logic 7. Says it when i go to my equalizer on the idrive and i have 13 speakers. Or is there another setup just like this? How do i know if i have professional head unit? Ah, yes if he just wants to power the under seat midbass and add the sub. I thought he wanted amplification to the mids and tweeters as well. Apparently not. I did. Thought it would be simple. Guess not. So ill go the easier route. I don't have I drive, and I think it must be non idrive. If you just want more bass, then there is a harness Technic can give you to add amps for that. Damn. I would think it wouldn't matter. As the amps would be the same. I hope someone chims in and lets us know or if you can find out because ill buy it from you. How do you have top hi fi with no idrive? How do you use your equalizer? It will sound great with that setup . . I am very picky and as I said use 2 channels of your Alpine for the unseat midbass and 2 for a sub you add .. your mids and highs will sound great, the whole system being more balanced. Forgot to ask you. I got the alpine type e 12". 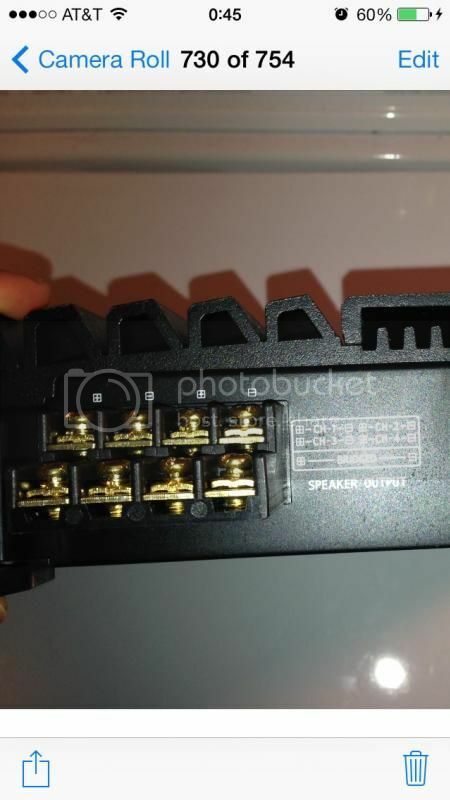 Will my 4 channel 300w be enough to power the underseats and a sub? Or will i need to use the 2 channel for the sub? Got some pictures of how you wired yours up? My alpines are 100 watts x2 and I am using two of them . .sounds great but I dont like "slammin" bass . . so get the harness from Technic, try it with your amp and sub . .you can always add another amp if you feel the need but I think you will be fine. As far as wiring . . get the harness and you'll see what you need to do . . there should be a DIY somewhere on here . . oh and add that tweeter to your center . . also a DIY on here. Will moving one tweeter make it sound funny for the people in the back? What do i search for the diy's? Just give me some keywords lol. And dont forget to change your EQ settings based on the DIY section . . that makes a noticable difference too. so i got my harness today from technic. are there any diy on here? or does anyone have instructions? or can tell me how to hook it up. im using it to power a amp to the underseats and a trunk sub. There is alot of bad info in this thread. 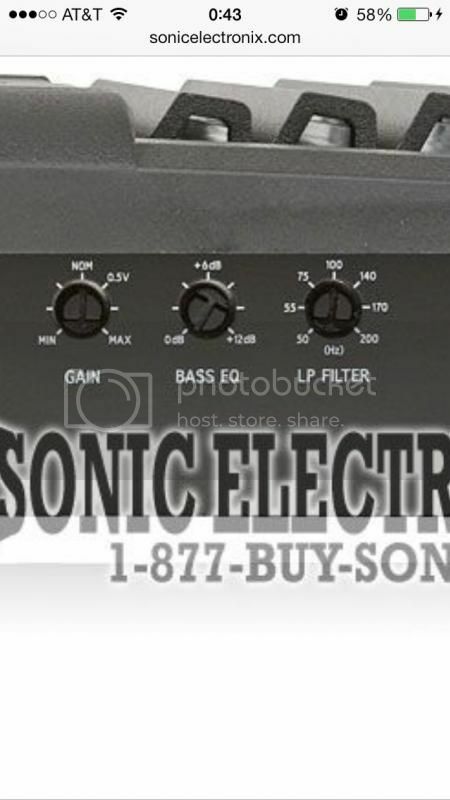 So you have a 4 channel and a 2 channel amp. You're trying to use the 4 channel amp to power the underseats and front speakers, and the 2 channel amp to power the sub. Correct? Yes, and I believe I can go about this 2 ways. But im not sure which is the best and i need help. Let me tell you what i have and the specs of my equipment. Everything else is OEM. I also added the tweeter to center. And i have the technic harness hooked up and working. My issues im having are how to hook all this up without putting stress on my amps, blowing the speakers or under powering them.All i want hooked up are the underseats and a trunk sub. Nothing else. 1. Can I power these with just a 300w 4 channel? 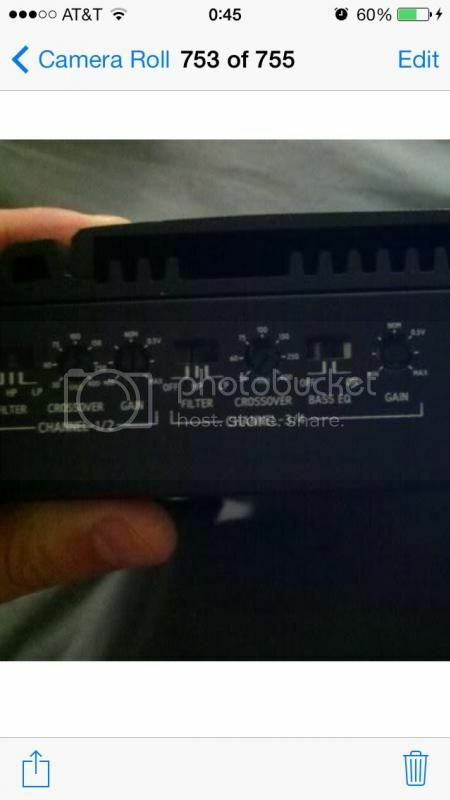 or will i need to use my 2 channel to power the sub and my 4 channel to power the underseats? 2. depending on what i do can someone tell me where to put the settings on the amp? 3. 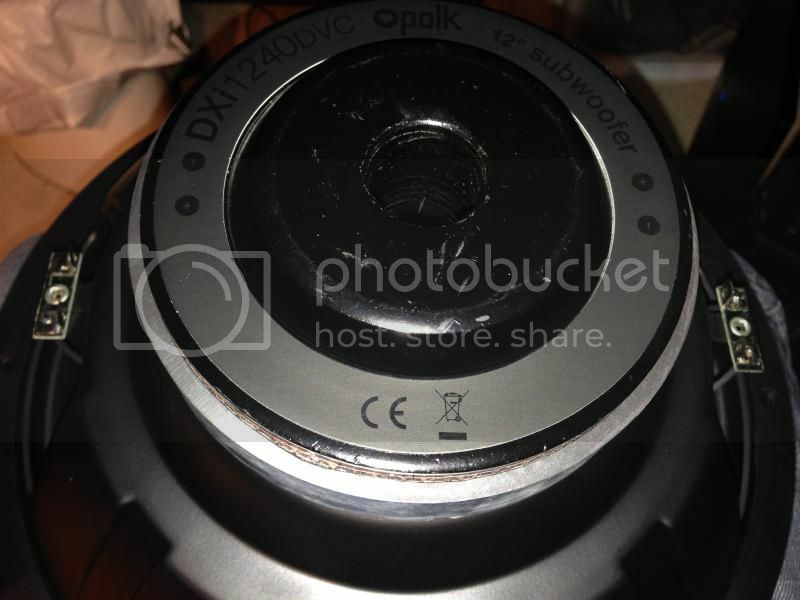 On my sub as you can see in the picture its a DUAL 4ohm. how do i hook this up? ill gets pics of the settings knobs once i decide which route to go. The mrp m500 is a mono amp which will work fine for the sub. I would use the 4 channel amp for the front speakers and underseats. Technic's harness is already designed to add a trunk sub and/or amp the underseat speakers. To amp the front speakers you will need to add a line output converter to the front speaker channels. You would wire it the same way Technic did for the underseat sub channels. You can either get another 2 channel line output converter, or use a 4 channel line output converter to replace the one that came with the harness. The front channels are obviously used for the front speakers. The underseat signal gets used for both the underseats and the trunk sub. You need to use the RCA pass through on either the 4 channel or mono amp to do this, or RCA splitters if your amps do not have this feature. You would wire your sub in parallel for a 2 ohm load. You can find the wiring diagram here. Last edited by bmw325i; 02-07-2014 at 09:04 PM. Just received my harness from technic also today, check your e-mail and you should have a e-mail from him with the instructions you need. Thank you so much man. This is what im gonna do. I really appreciate everyones help. Im going to order the second loc today. Could i just use the one from beat buy? Ya i got it haha. Didnt see it till after i figured it all out. You can, but what you'll find at best buy is probably not as high of quality. The one I linked you to is the same one Technic uses. With the Logic 7 you dont need to add a separate amp for the front speakers. Dont make this more complicated than it needs to be. Use your mono amp for the sub and your other amp for the underseats . . and then listen and enjoy! Ya im gonna do this first and if need be ill power the fronts later. Ok last questions guys. Sorry. Here is my 4 channel. Should i use ch 1 and 2 only? Or split the rca to all 4 and use 1 underseat on ch 1/2 and the other on 3/4? Also where should each of my settings knobs be at? The range. Like the lowest/highest for each. If i do use ch 3/4 should i turn bass eq off? Also what filter should be on? Here is the 2 channel for my sub. Setting ranges for this?